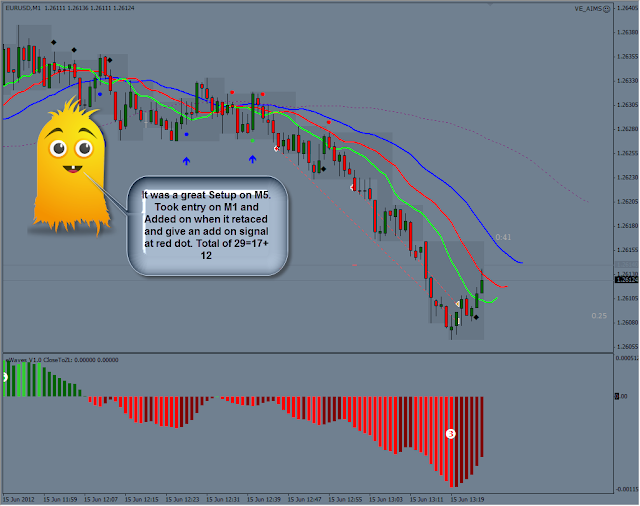 Here is an example of how the New AIMS Entry Alert V6 with its Divine Arrows are helping us Trade. 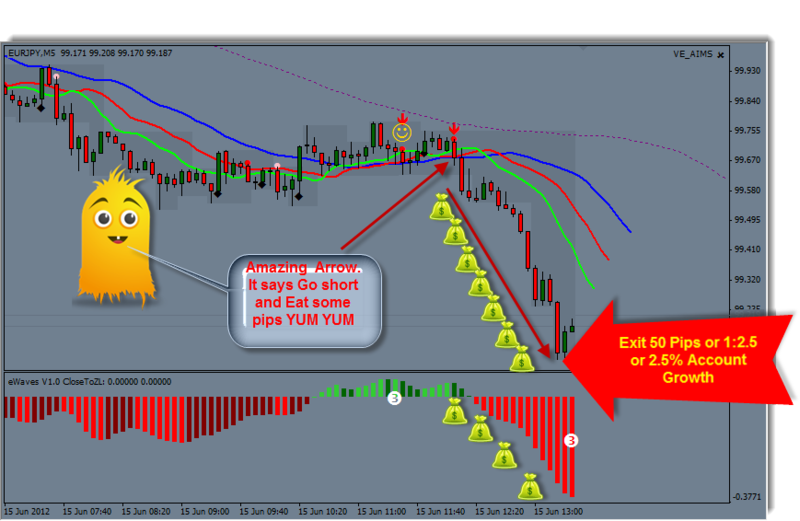 Took this EUR/JPY trade on this Red arrow. Result 50 might pips. Its simply it could be easy too! But its one thing for sure. You do not want to trade without it. Below is an M1 Campaing for +29 pips. a good morning with 2.9 5 account growth. Not to mention a previous little gain of 1% so 3.9% in total growth today only on m1. Note that Although we had two blue arrows suggesting higher probability Setup to Long side but the trend on m5 was choppy and there were two red dots too. It broke-out to the downside below an M5 Sleeping alligator. It was perhaps a good Saddle Point.